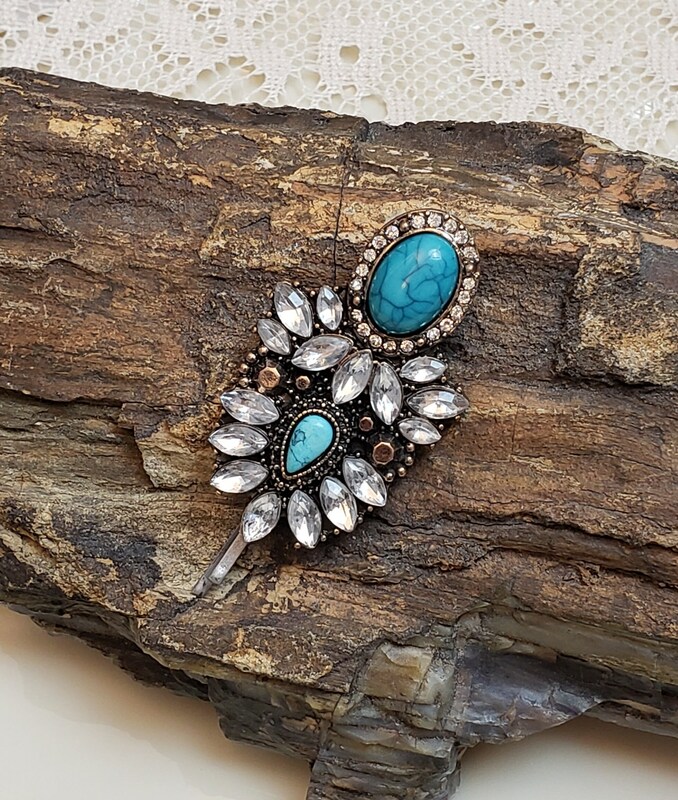 In an antique gold setting are nestled a beautiful array of clear and turquoise like stones. 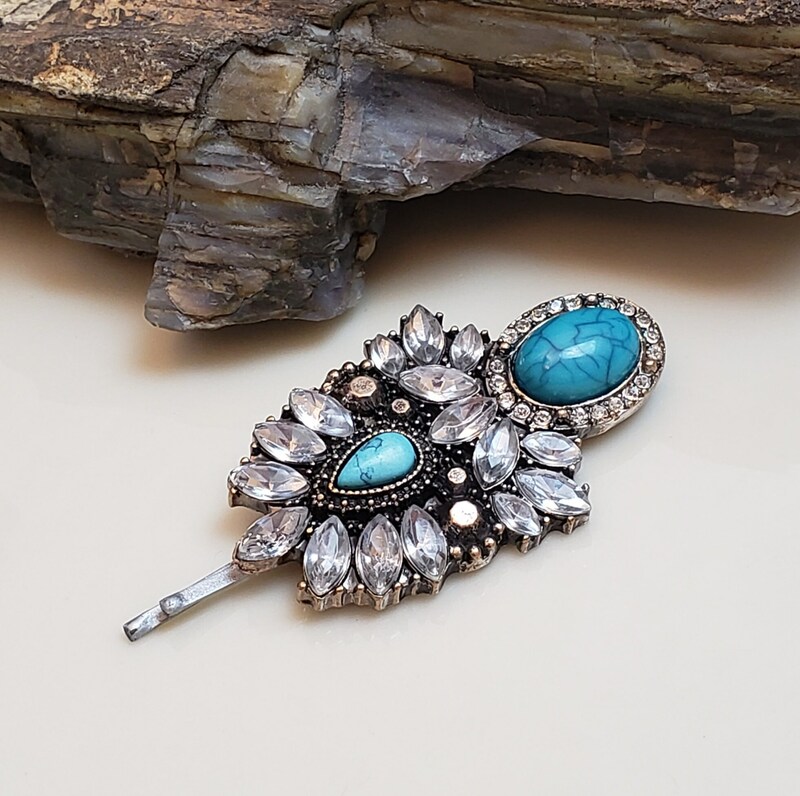 Richly designed into a feminine tichel/hair pin. 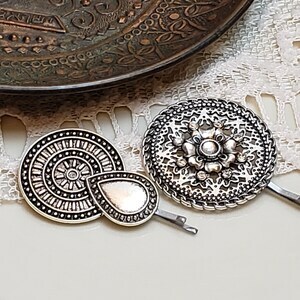 Tichel and hairpins are an instant upgrade to your head scarf or outfit. 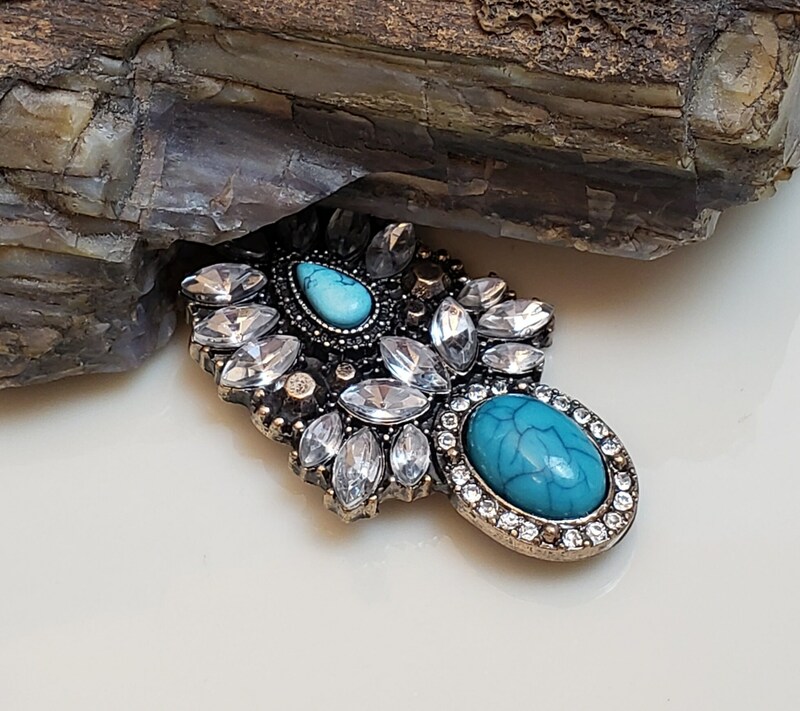 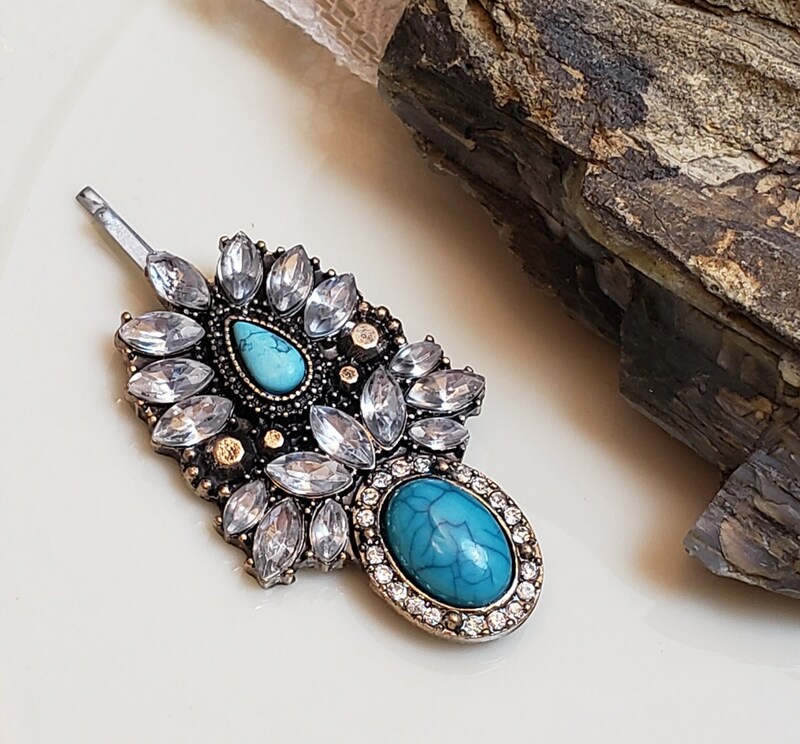 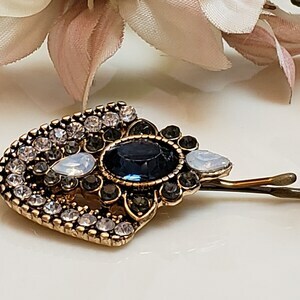 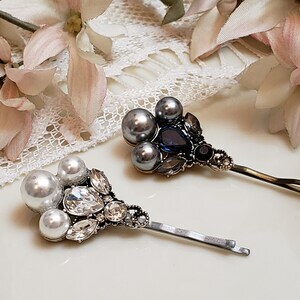 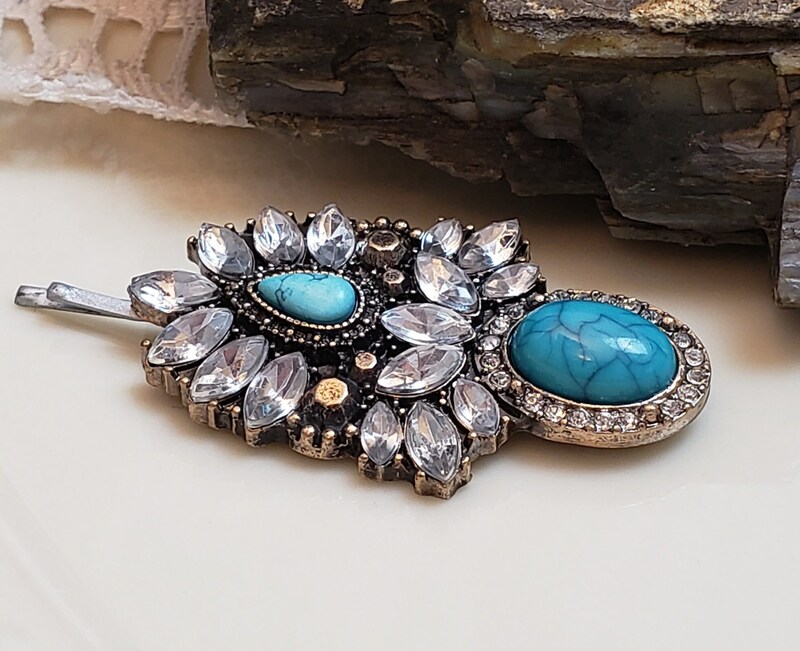 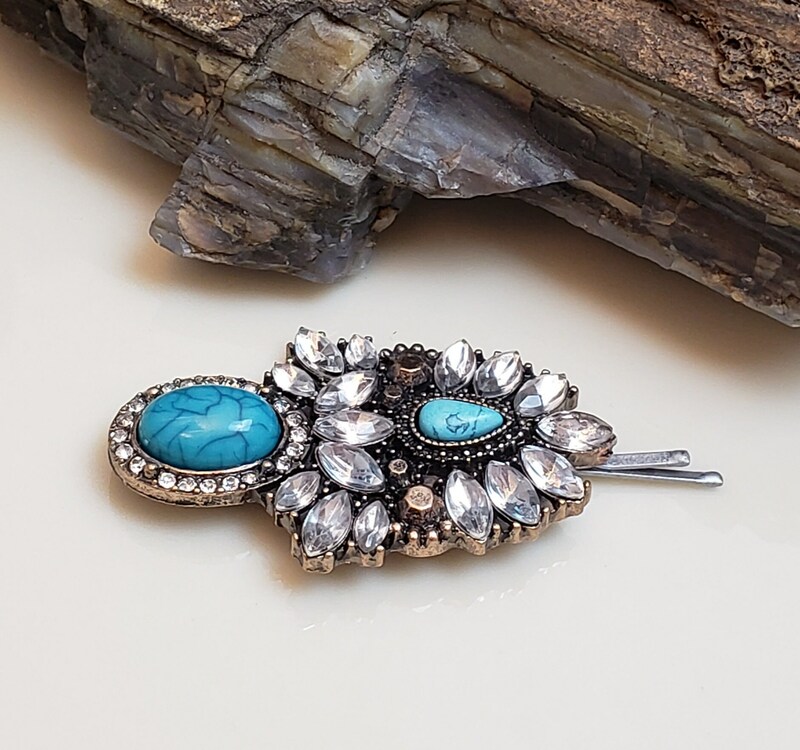 This pin is perfect for head coverings and might be a little heavy for loose hair. 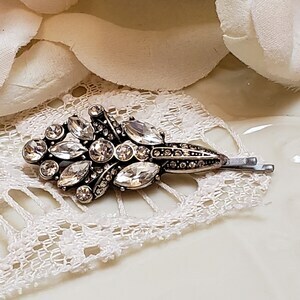 Decoration measurements: 2" × 1-1/4"